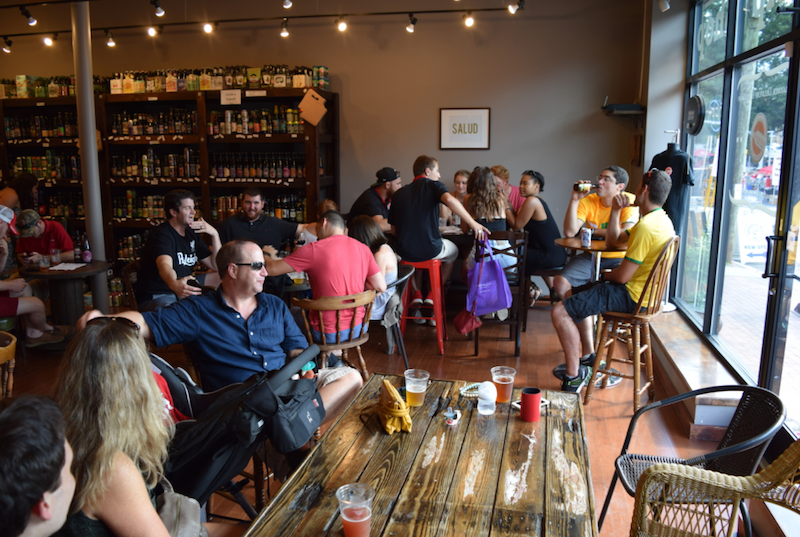 Offering over 400 beers, about 75 different wines by the bottle, and indoor and outdoor seating, Red Line Beer & Wine is the perfect place to relax with friends (and dogs!) and end the day or start the weekend off right. Since their one-year anniversary is quickly approaching, we decided to check them out for this week’s Tasty Tuesday. 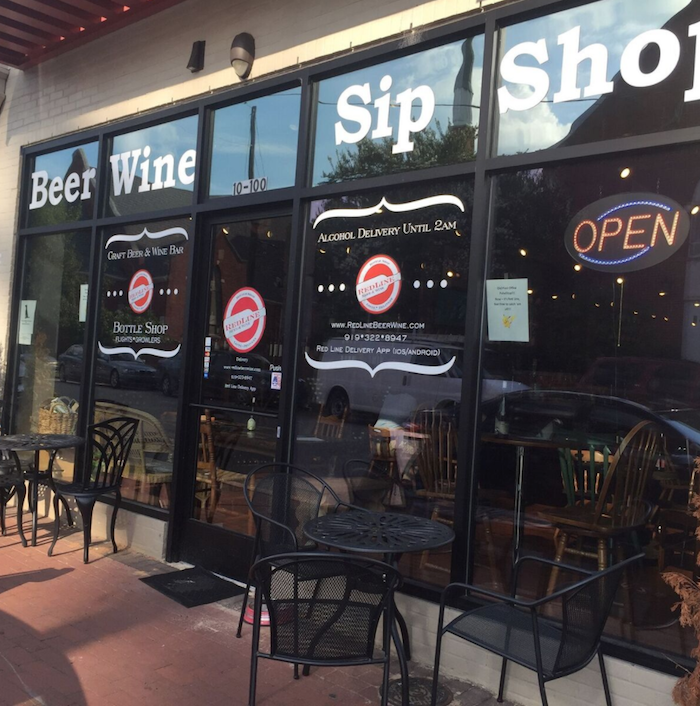 Located at 10 Horne Street, next to Groucho’s Deli, Red Line Beer & Wine is a short walk from NC State University. 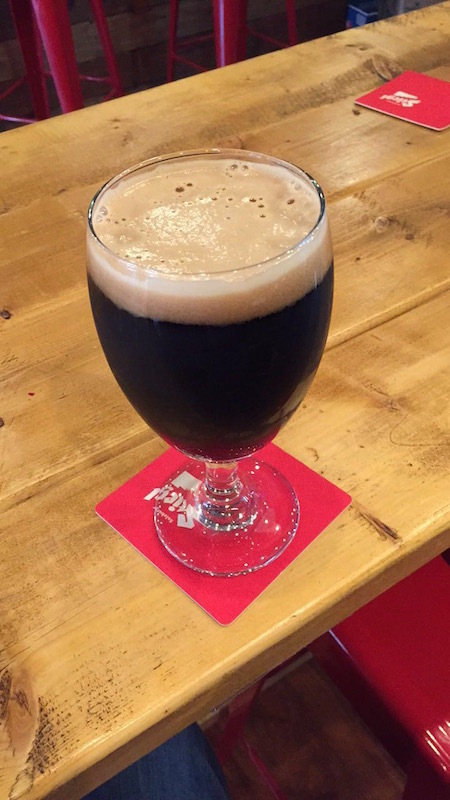 Red Line Beer & Wine will be celebrating its one year anniversary on Sunday April 2nd and will have specialty kegs, pint specials, giveaways, raffles, and cake! Oak City Fish and Chips will also be on site from 4 pm – 8 pm. Despite its relatively small size, Red Line Beer & Wine offers a relaxed, welcoming atmosphere and boasts ample seating, including a long wooden table and bar capable of accommodating large groups. 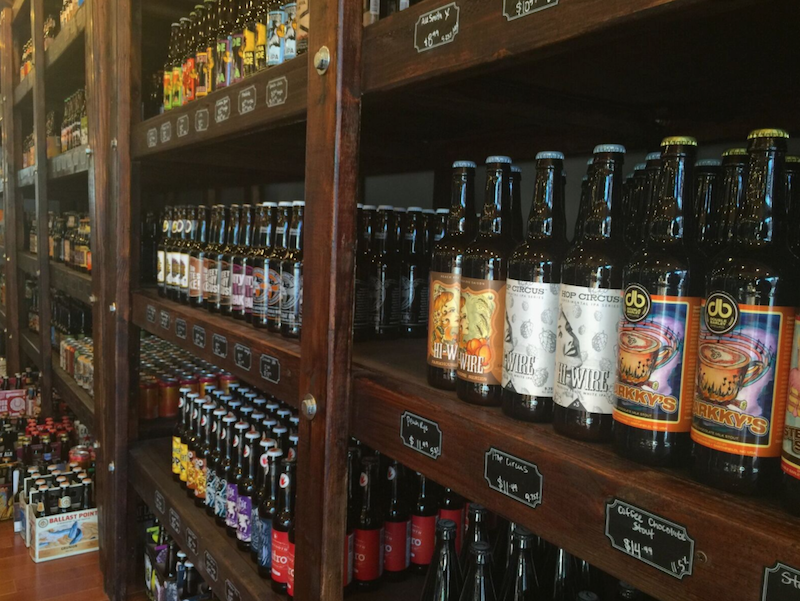 Nearly every inch of walls are covered with different bottles of beer or wine and the shop also offers 24 beers on tap. The IPAs and sours are most popular, but I opted for the Stone brewing Coffee milk stout which was more than excellent. For those who prefer wine, Red Line Beer & Wine offers about 75 wines by the bottle and about 20 by the glass. Their most popular red wine is the Cabernet Sauvignon and the most popular white is the Pinot Grigio. Red Line Beer & Wine also offers beer and wine delivery to Raleigh and surrounding areas within 30-60 minutes! Though Red Line Beer & Wine is hosting a big celebration this Sunday, the shop also hosts weekly events such as “Puppies and Pints” on Mondays and Trivia Night on Tuesdays. Red Line Beer & Wine also hosts karaoke nights from time to time. 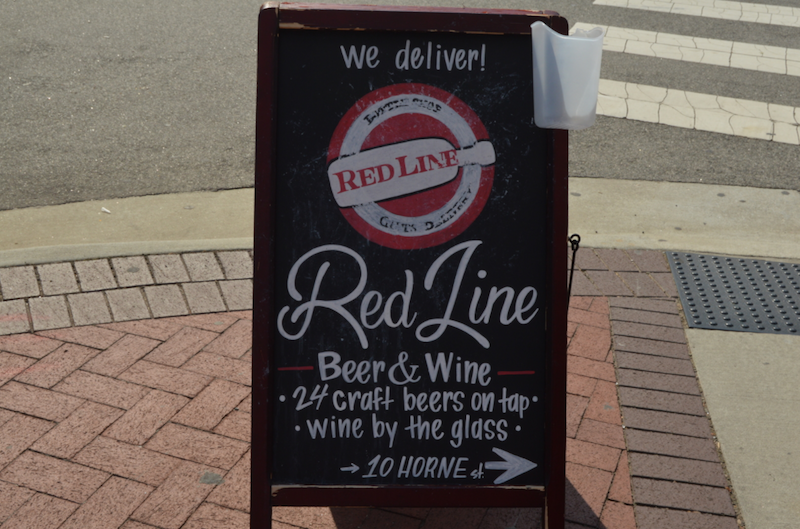 Whether you are looking for a place to relax with your friends and dogs or a place to sing your heart out and unwind after a long week, Red Line Beer & Wine is the perfect spot. Make sure to stop by this Sunday to celebrate their one-year anniversary and learn more about all they have to offer!